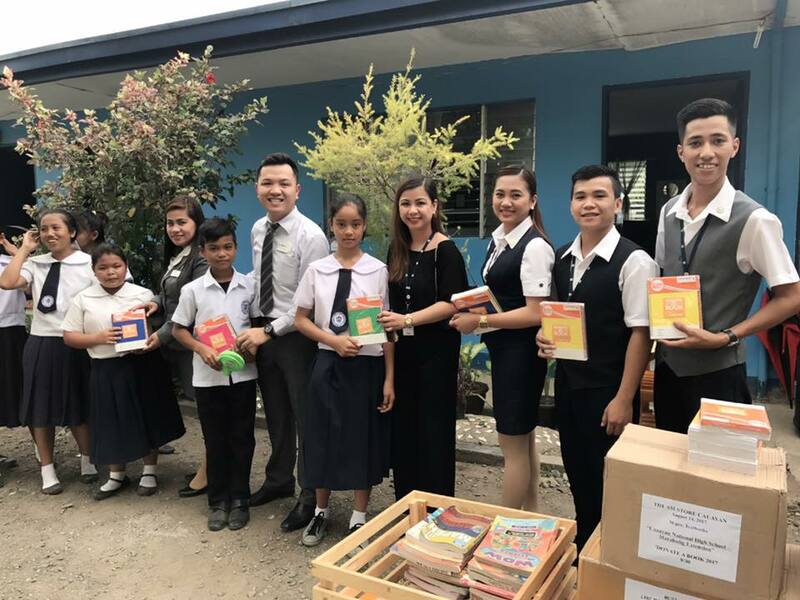 Thousands of students all over the country recently received gifts of learning – books, brand new school supplies, and art kits - through the SM Store’s recent Donate-A-Book campaign. 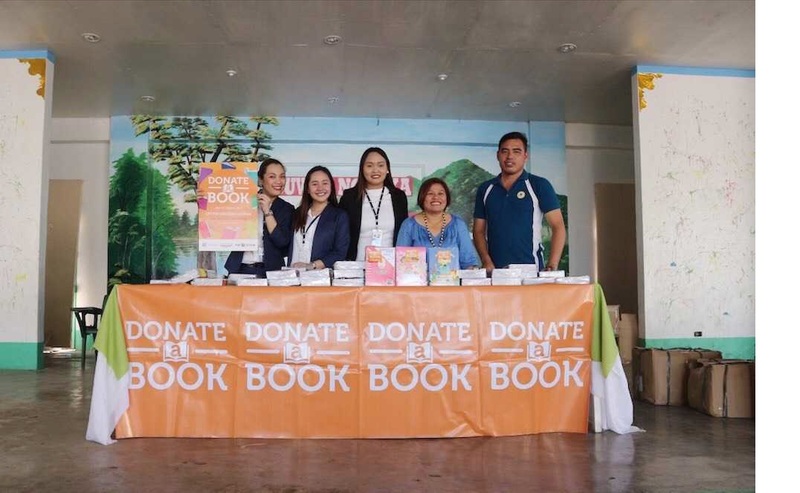 In this joint project of The SM Store, SM Foundation, and Stationery, booths were set up in all The SM Store branches nationwide where customers could donate pre-loved books for various public school areas. Supplies Station also displayed brand new notebooks and art kits on the booths for customers who wanted to buy and donate these to the less fortunate. 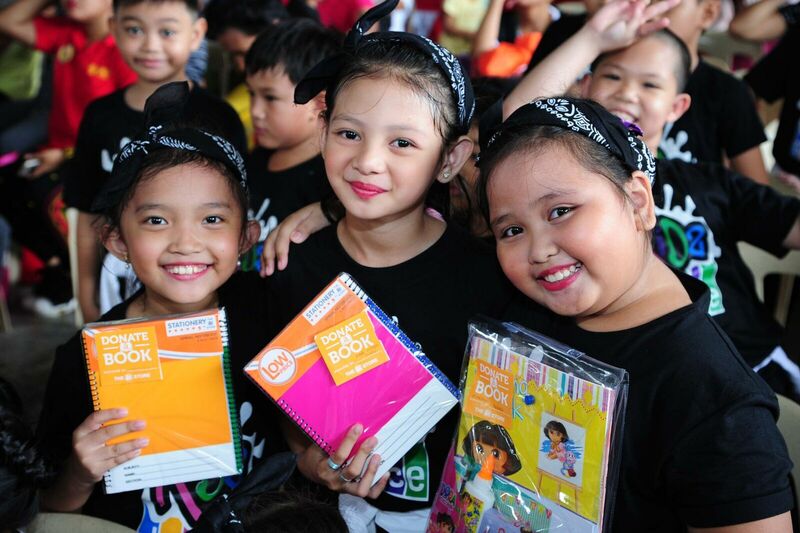 1- Grade school students from Alabang Elementary School were all smiles with their new notebooks and art kits courtesy of The SM Store’s Donate-A-Book campaign. Each donation entitled a customer with a Php 50 discount coupon which can be redeemed for every minimum Php 500 single-receipt purchase on regular-priced items from the Supplies Station at The SM Store. Coupons are valid until June 30, 2018. 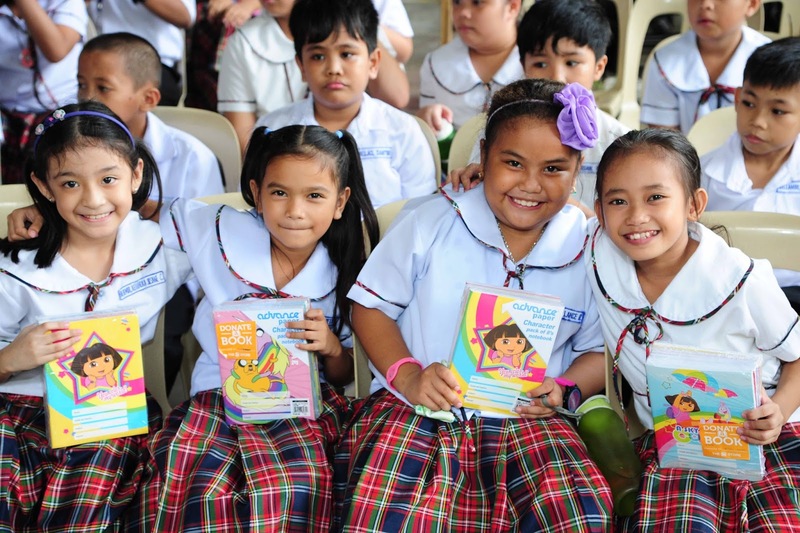 Children from the Alabang Elementary School were some of the recipients of The SM Store’s Donate-A-Book campaign. Alabang Elementary School Principal Clarita Alejandro and Master Teacher II Hilario Canasa are shown receiving the books from The SM Store Southmall’s Assistant Branch Manager Michelle De Leon. 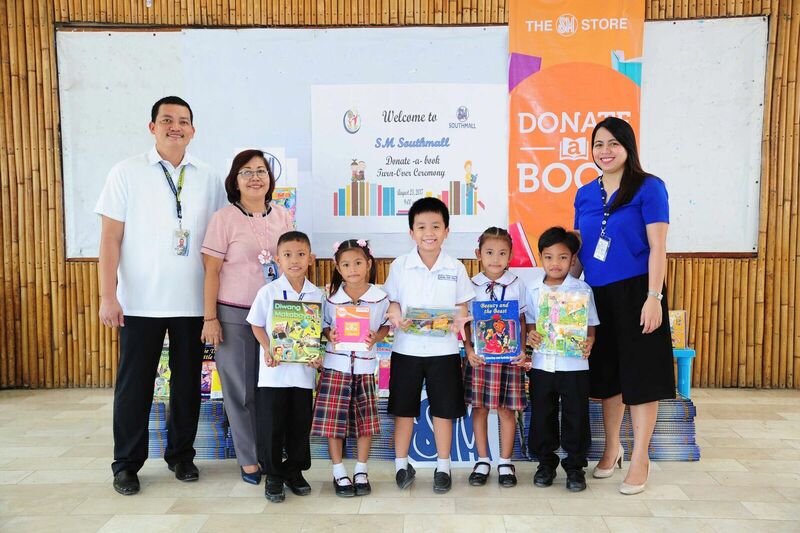 Customer response was overwhelming as the Donate-A-Book campaign was able to gather a total of 75,660 books and 6,947 supplies from all The SM Store Branches nationwide. These books and supplies were in turn donated in around 58 public schools all over the country. Some of the recipients were Alabang Elementary School, Maliwalo Central Elementary School, North City Central School and Cauayan National High school. Donate a Book is one of the many ways The SM Store and its customers team up to do their share for the less fortunate. Other projects are Share Your Extras, Gamot Para sa Kapwa, and the upcoming Share-A-Toy campaign. 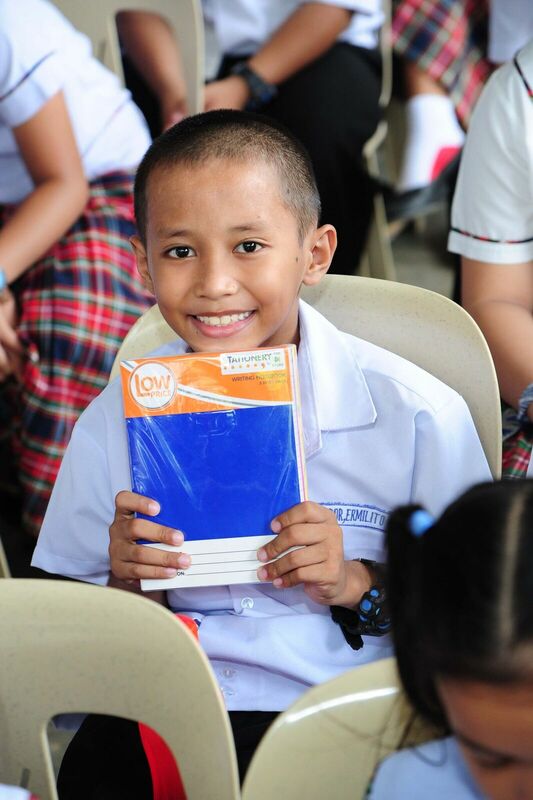 1- Ermelito Labrador, an 8-year-old student from Alabang Elementary School, flashes a big smile after receiving his new notebooks from the Donate-A-Book campaign.